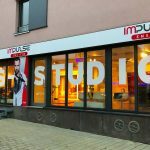 Impulse goes Germany We proudly announce our first outlet in Germany in the beautiful city of Constance. Constance is located at the Lake Constance with close proximity to Switzerland and Austria. Constance is one of the most prosperous regions in Europe.